I stole this recipe from Christina, over at Dinner at Christinas. I love when I read a recipe online and I miraculously have all the ingredients already in stock and no runs to the grocery store have to be made. This was one of those! I tweaked it a little bit - adding carrots and doubling the recipe, but for the most part it is the same. I will say though, this is the LAST soup we will eat until next fall. I just can't seem to eat soups when the weather is starting to get warmer. Can you? 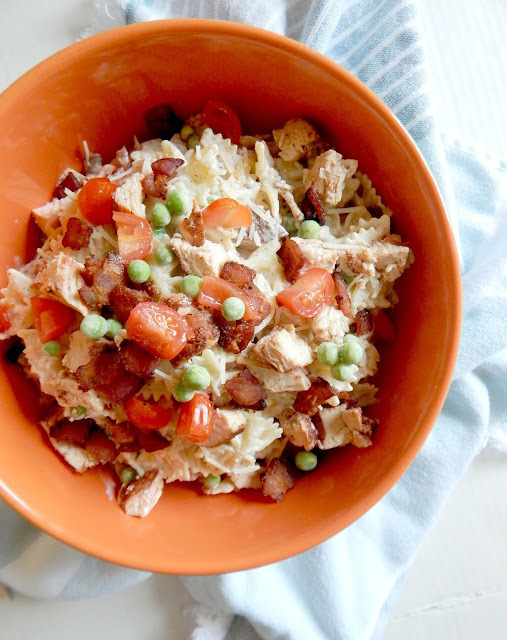 The next time I make this, I might add some potatoes or maybe leave the "pulp" a little chunkier. This batch came out very smooth, great flavor, but I wished I would have left it with just a little more texture. My bad! All in all, a great soup. And one that gets a lot of veggies in without knowing it! In large saucepan, melt butter, add flour to make a roux. Cook roux for a few minutes until bubbly and flour has cooked out. Meanwhile have the broccoli and carrots in large pot of boiling water. Cook for 10 minutes or until tender, drain, but save 5 T. of the cooking water. In the saucepan, add milk and heat through. Add seasonings to taste (about a teaspoon each). Stir in cheese and melt. This mixture will thicken on a low simmer. Place veggies and cooking water in a food processor and puree to desired consistency, add to soup. Stir and let simmer on low. Taste and adjust seasonings. Also, here is a Happiness Award I received from Pam over at Pam's Midwest Kitchen Korner. Thanks Pam! 1. When you have received this award you must thank the person that awarded it to you. 2. Name the 10 things that make you happy. 3. Pass this award onto 10 other bloggers and inform the winners. 10 Things that Make Me Happy Today! The sunshine I woke up too. Little man smiling away when I walked into his room today. My in-laws coming down yesterday and talking us out for lunch - nice treat! Being able to stay-at-home with the little man. Only 4 more days until our friends from MI come to visit! 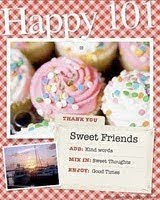 Having great friends and family that I keep in touch with daily. My two hounds that always keep us on our toes, yet drive me nuts. Sitting outside on the deck and reading a good book. Getting ready to bake ump-teen loaves of banana bread. All my readers who take time out of their day to read my blog - thank you! Sara's Sweets, The Brenden Family, Change of Pace, 365 In, Jessica's Garden, Peanut Butter Fingers, Slim Shoppin', The Houndstooth Apron, Dinner at Christinas, and Graze with Me. I hope everyone has a (Happy) Monday! 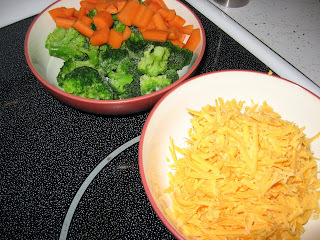 Broccoli, carrots and cheese? Yum, yum and yum! I'll bet this soup is wonderful. Congrats on the Happiness Award and thank you so much for passing it onto me! You're so sweet! Thanks for the award!! And I love that soup idea, I haven't made that combo before! 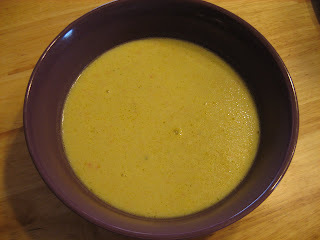 Broccoli and cheese soup is by far my favorite soup ever! Why wouldn't it be with (normally) all the fat and cheese? Ahhh I love it! I'll have to try this recipe... You could also always add noodles to it to give it more texture. HEY! Thanks for the award! I recieved it the other day too! I'll post it again sometime this week or early next, I have a few others I need to post as well..never enough time in blogging world! You need to find someone that knows a good Indian restaurant, and get them to take you. Get a couple dishes to share and taste, then you'll know. I think it's awesome. Congrats on the award! I like the fact that you are happy about waking up to the sun and that you are getting ready to bake ump-teen loaves of banana bread... life is great, isn't it?! That soups looks great. I am the same way though - after a certain point I just don't want soups and stews. My husband's venison stew will be the last stew/soup of the season for me as well. OH! That looks so good, we still have quite a bit of snow so I bet I can squeeze this in. Thanks for sharing a recipe. I made your asparagus and garlic AGAIN and it is so darn good!! This is a great combination. Carrots are a great addition. Thanks for linking up to Meatless Mondays.